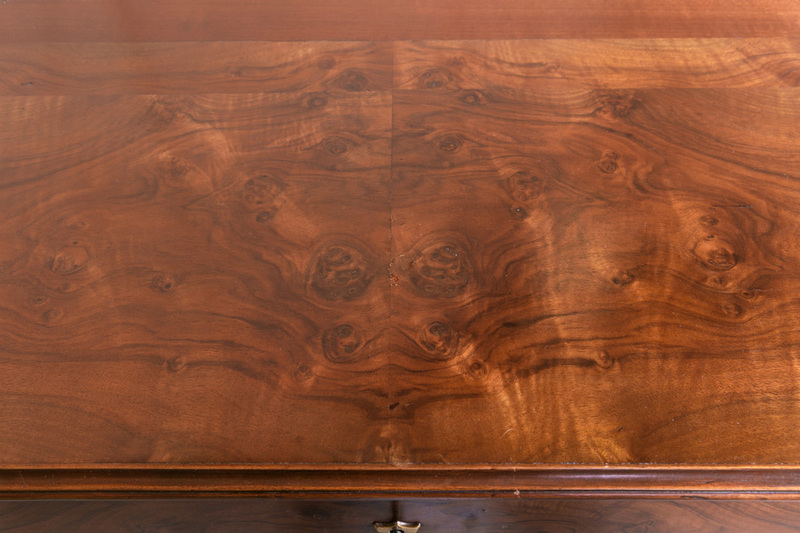 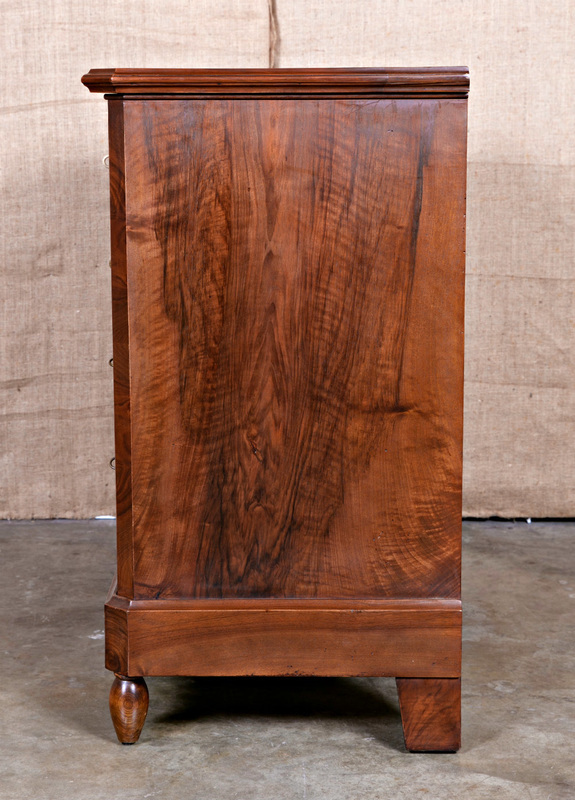 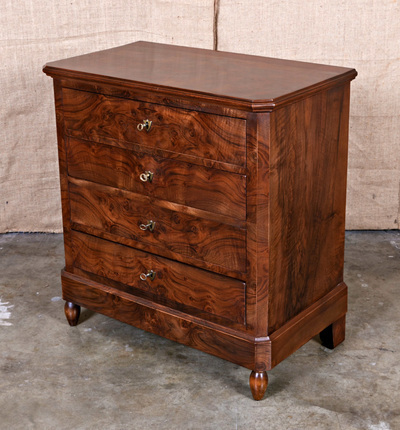 Fine antique French bookmatched burled walnut Louis Philippe period commode, having a moulded edge top with chamfered corners above four locking drawers flanked by chamfered stiles, on a plinth base. 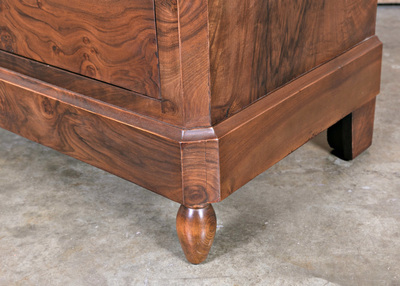 Raised on short turned feet. 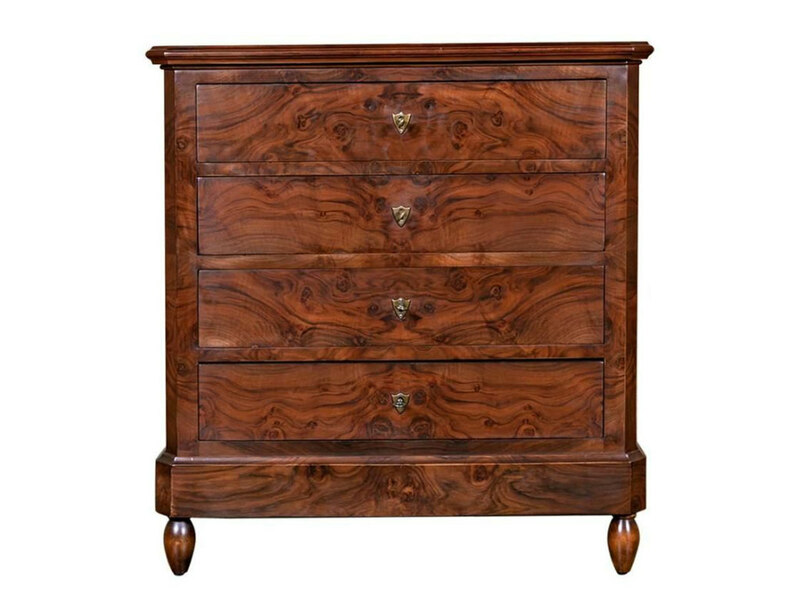 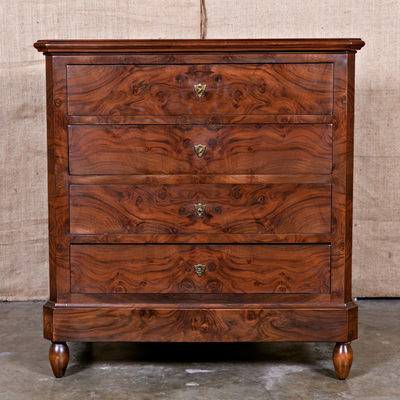 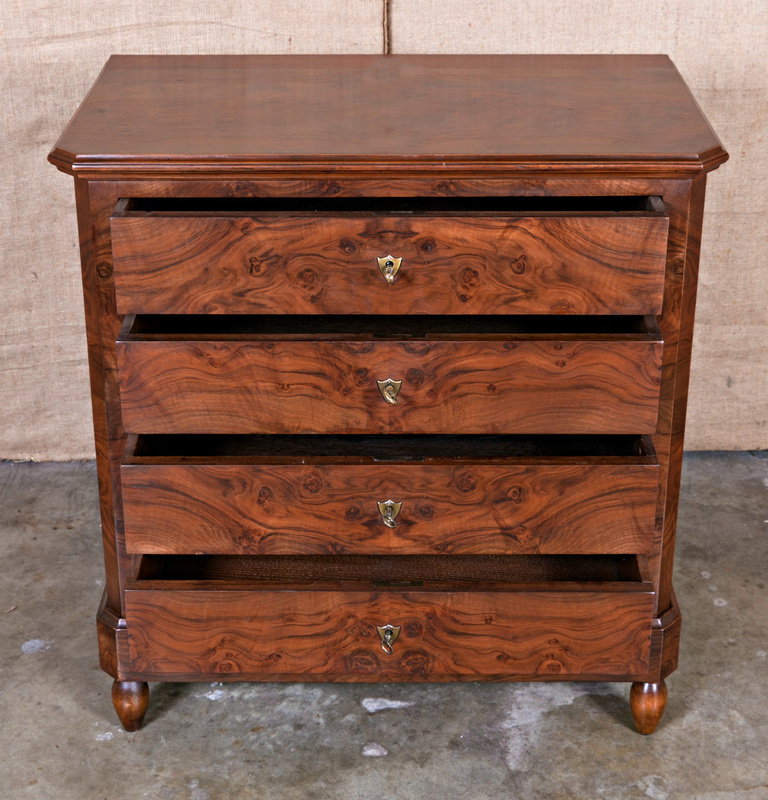 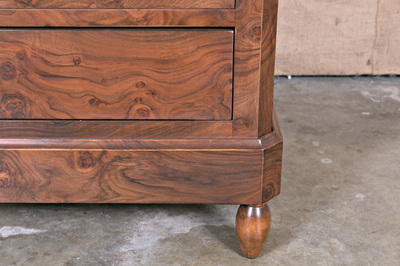 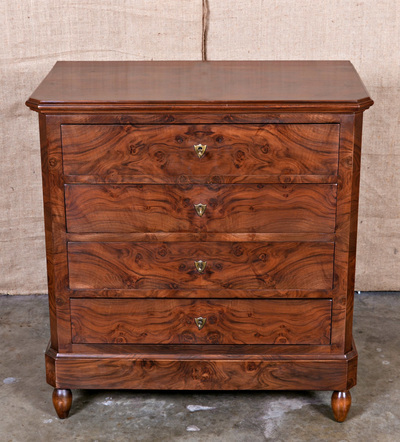 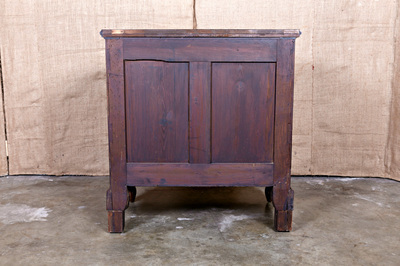 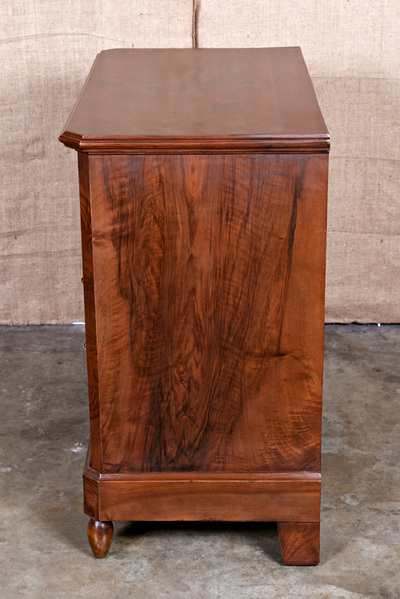 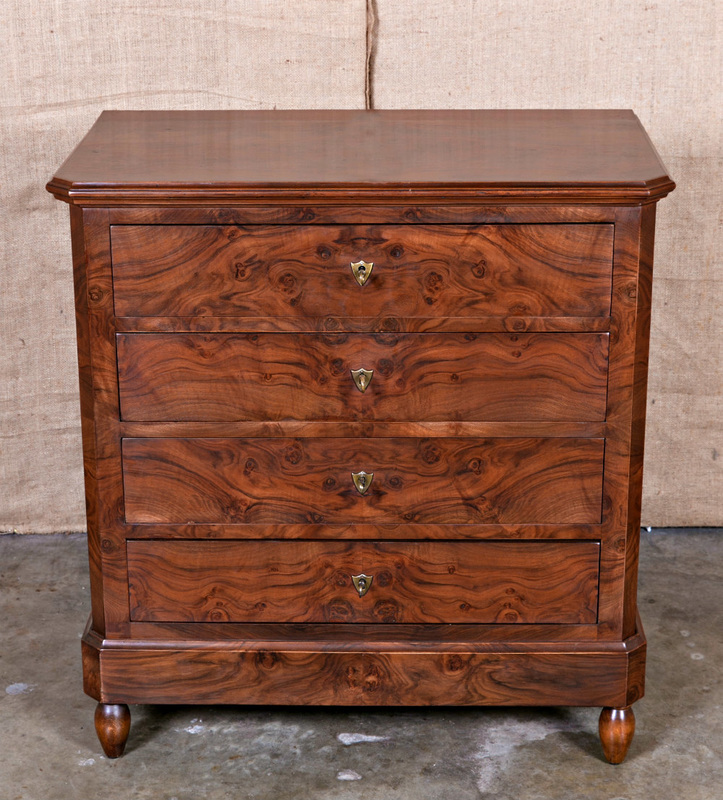 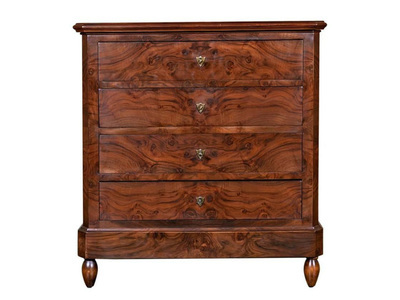 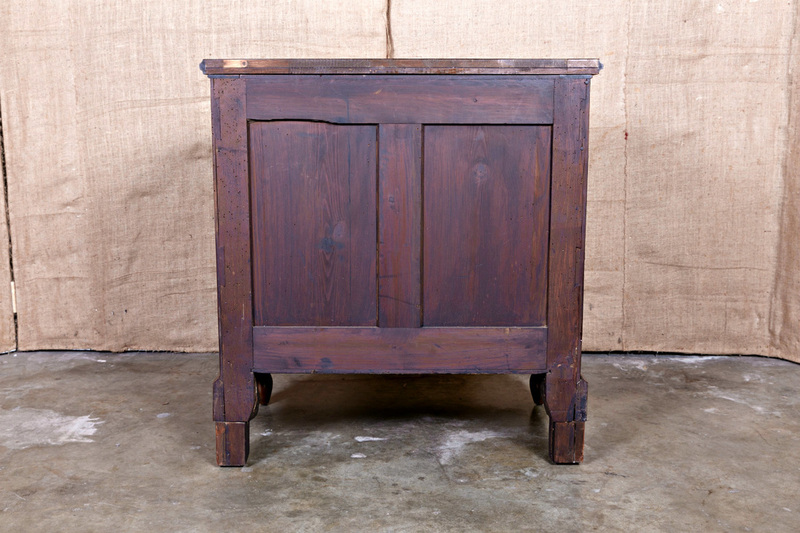 This petite commode has nice proportions and is small enough in scale for use as a bedside chest. 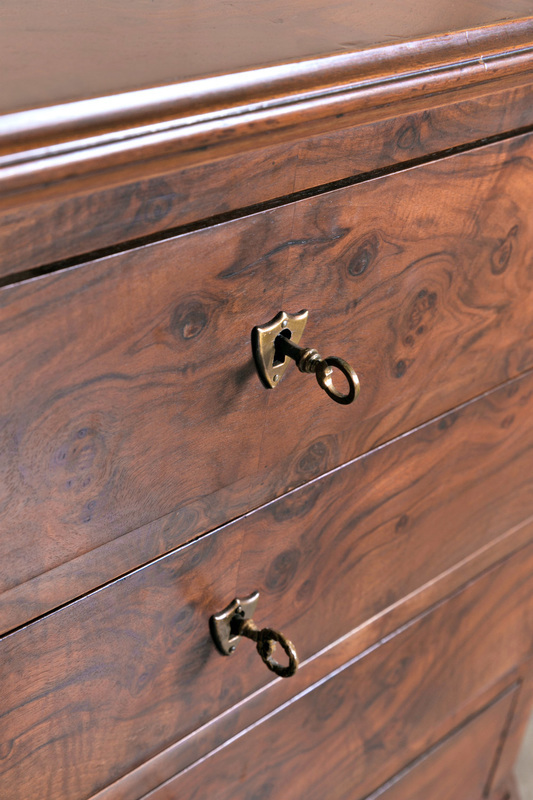 The simple elegant lines make it suitable for many interiors.